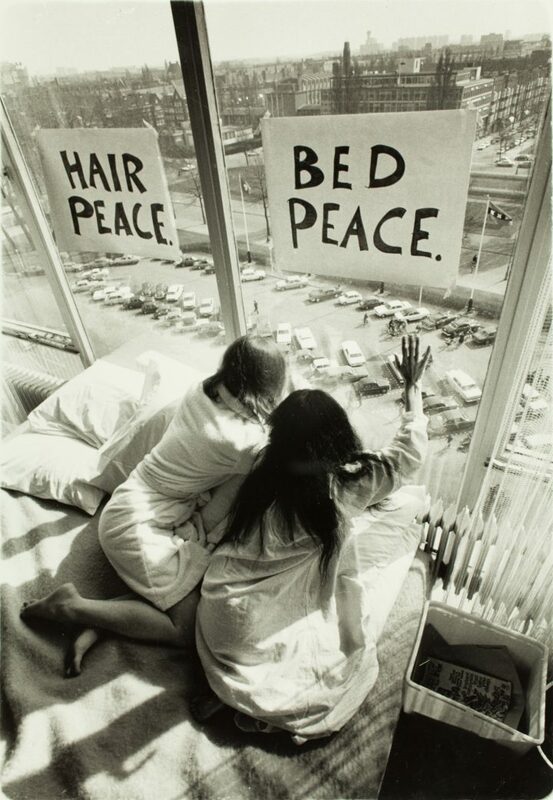 An unlikely element of Lennon and Ono’s late-1960s peace campaign was an aural selfie, ahead of its time. By the time John Lennon and Yoko Ono released their Wedding Album on the Beatles’ Apple Records label in late 1969, seven months after marrying in a low-key civil ceremony in the tiny, British Overseas Territory of Gibraltar, the Liverpool-born Lennon, then one of the most famous rock stars in the world, knew that even his most off-the-cuff pronouncements would be gobbled up and analyzed by the media as emblematic reflections of the Zeitgeist. 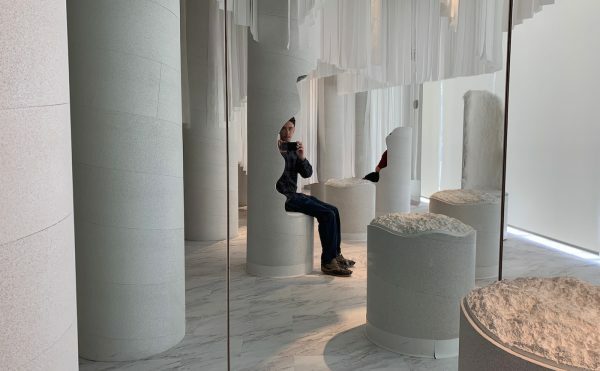 Meanwhile, Ono, who had emerged from the more rarified precincts of New York’s avant-garde art-and-music scene, was still being served a crash course in the persistent, often invasive nature of the international media’s omnipresent gaze. 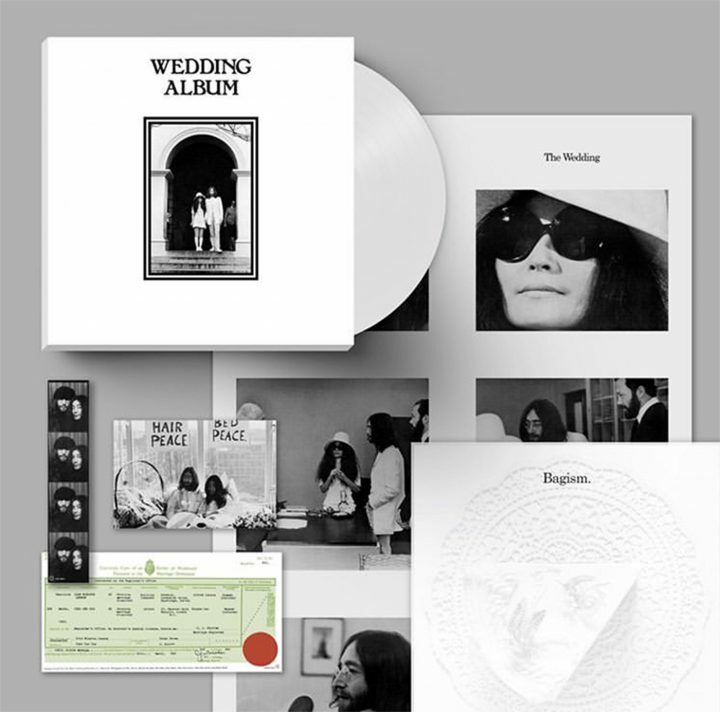 Now, 50 years after Lennon and Ono, each fresh from a divorce, became husband and wife on March 20, 1969, the US-based labels Secretly Canadian and Chimera Music are jointly re-releasing Wedding Album, its vinyl-LP and compact-disc formats complete with faithful reproductions of the original vinyl record’s innovative packaging. 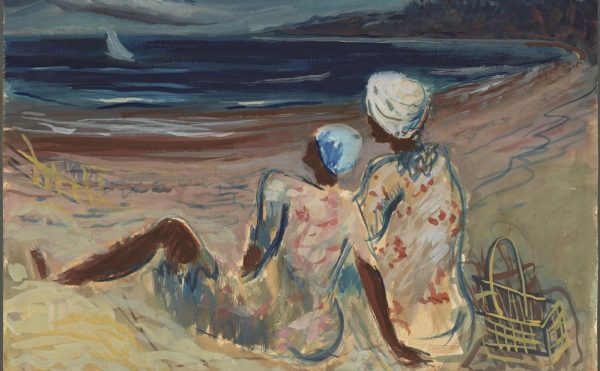 Looking back at what can now be appreciated as a pioneering use of the record album as a vehicle (postmodernist theorists would call it a “site”) for conveying a range of messages and as a kind of art object in its own right, its unlikely status as an icon of its time may finally come more clearly into focus. 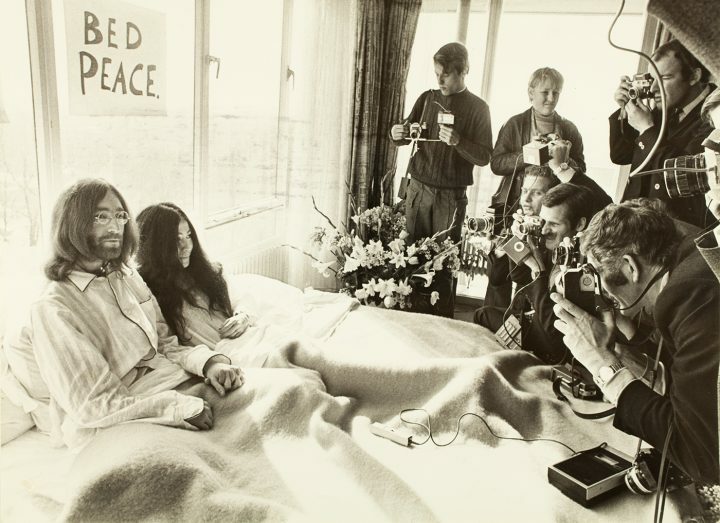 Throughout 1969, as the costly, aimless war in Vietnam dominated the headlines, Lennon and Ono were busy with collaborative artistic and musical projects, including the production of Wedding Album. It became the third of the experimental recordings they released in album form, following Unfinished Music No. 1: Two Virgins (1968) and Unfinished Music No. 2: Life with the Lions (1969), since they had first met in London three years earlier. Although Lennon and Ono would soon intentionally exploit the media’s coverage of their marriage in a big, unprecedented way, they kept a low profile as they planned their non-religious, simple civil ceremony. 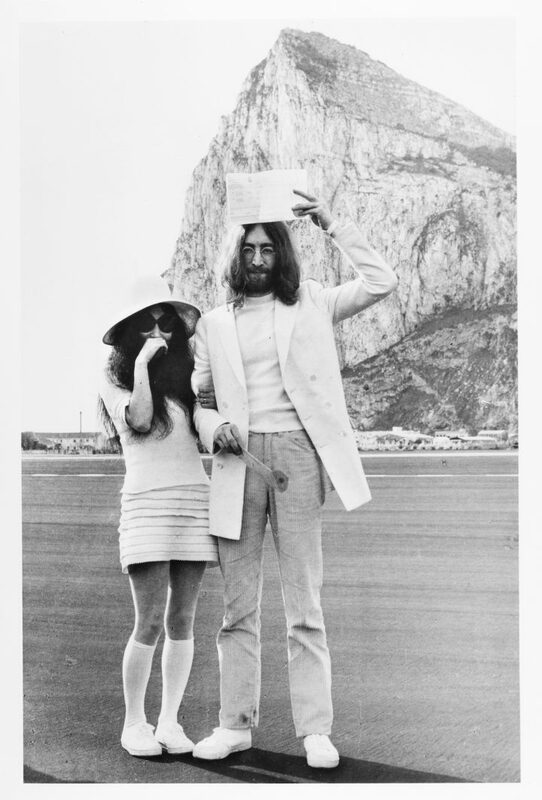 In a 2014 article in Gibraltar Magazine, Charlie Galliano, the clerk in the British territory’s Magistrates Court who oversaw their marriage proceedings, remembered that the Beatles’ manager, Peter Brown, had contacted him to schedule a date. Wedding Album consists of a single, long-playing disk. Side One features “John & Yoko,” a 22-minute-long composition set against the sound of a throbbing human heart, in which Lennon and Ono repeatedly pronounce each other’s name in a dramatic call-and-response; they coo, purr, wail, and holler, reducing their names to goofy sounds. Considered in terms of today’s omnipresent branding, “John & Yoko,” the vocal performance, co-opts “John & Yoko,” the celebrity-tag-as-brand cooked up by the mass media as soon as the couple became headliners, and “John & Yoko,” the recording, becomes the ultimate aural selfie. 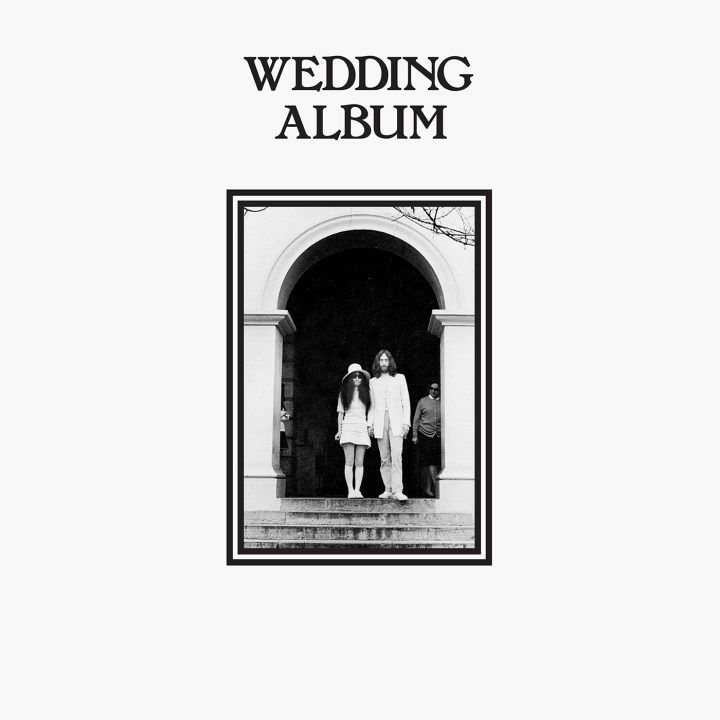 Wedding Album’s second side, “Amsterdam,” is a sound collage featuring Ono chanting, “Let’s hope for peace”; excerpts from interviews conducted with John and Yoko during their Amsterdam Bed-In; and snippets of impromptu musical performances (including Lennon singing “Good Night,” from the Beatles’ White Album). “In our way, we’re just announcing [that] we’re open to all invitations or suggestions to work for world peace,” Ono says in “Amsterdam.” “We’re doing it in our way,” she adds. 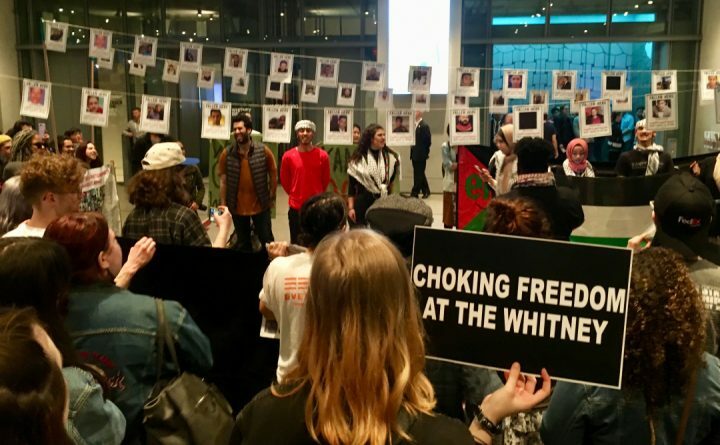 If, as an audio recording, Wedding Album served in part as a document of a staged-for-the-media, performance-art event, so, too, did its elaborate packaging, which was created by John Kosh, a designer who became Apple Records’ creative director. 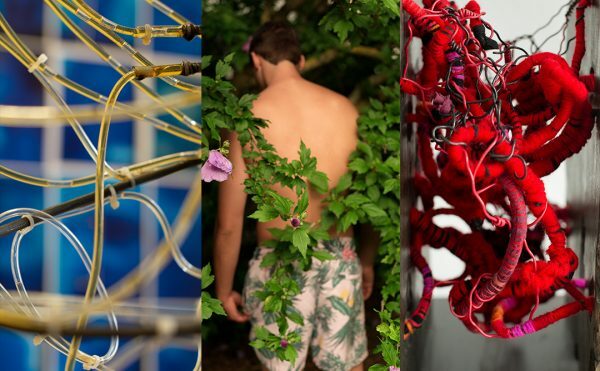 As the listener opened and explored the contents of the original, vinyl-LP record, the performative character of Kosh’s design became apparent. Packed inside a box with a lift-off lid, the record came in a gatefold jacket, accompanied by such items as a large booklet containing reprints of newspaper articles about the newlywed couple (“The Perfect Match: They Both Wore Tennis Shoes,” declared one British newspaper’s report about their nuptials in Gibraltar; “Come In, We’re Just Making Love,” cried another about the Amsterdam Bed-In); a fold-out sheet with Ono’s delicate line drawings; photos from the marriage ceremony; a reproduction of the couple’s marriage certificate; and, printed on a sheet of white plastic, a photo of a slice of wedding cake. Following their wedding, 1969 continued to be a busy year for Lennon and Ono: in May, they released Unfinished Music No. 2: Life with the Lions and staged a second Bed-In, this time in Montreal; during the summer, they sent two acorns to each of 50 world leaders, asking them to plant them as living symbols of world peace; and in July, they released their first record as the Plastic Ono Band — the single “Give Peace a Chance,” written by Lennon, which was backed with Ono’s “Remember Love.” Both songs had been recorded during the Montreal Bed-In. In September, the Plastic Ono Band, now consisting of Lennon, Ono, guitarist Eric Clapton, bassist Klaus Voorman, and drummer Alan White, appeared at the Toronto Rock and Roll Revival; their performance became the POB’s first album, Live Peace in Toronto 1969, released in December. 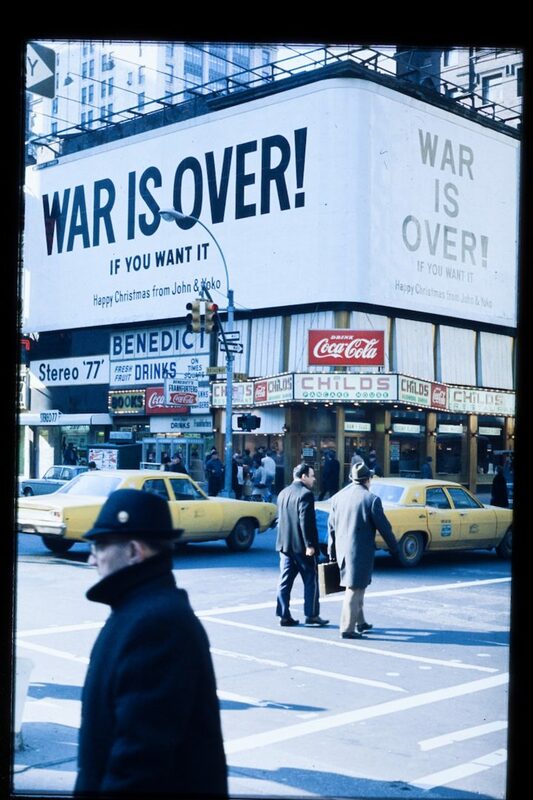 That same month, Lennon and Ono’s peace campaign culminated in the unveiling in several cities around the world of their “WAR IS OVER! IF YOU WANT IT” poster-and-billboard campaign. 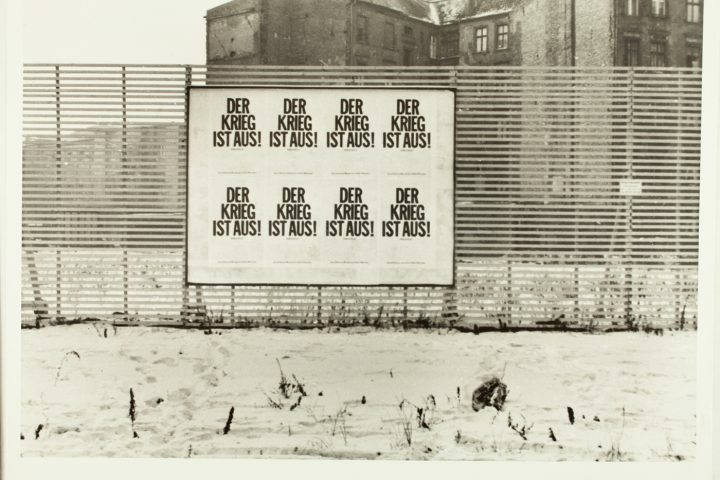 Its instruction-based invitation for public participation in realizing a particular action or goal came right out of the Fluxus playbook and again reflected Ono’s influence. Dismissed by some as self-indulgent or as naïve for its message of peace, Wedding Album might now be seen as one of Lennon and Ono’s quaintest and, at the same time, most risky-radical productions. It gave the couple’s detractors another punching bag, allowing them to brush off the artists’ heartfelt argument as “unrealistic,” while striking some Beatles fans as simply puzzling. 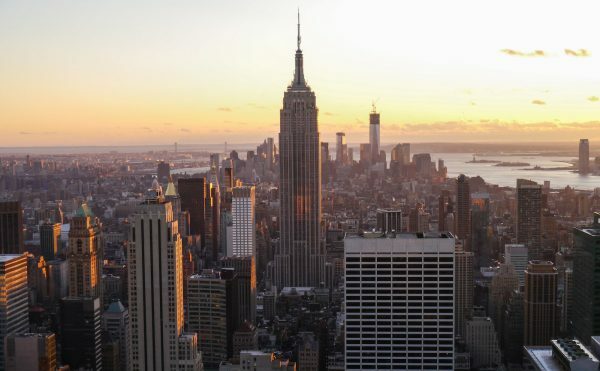 Still, as part of a broader, art-and-music-based consciousness-raising campaign, whose development by Lennon and Ono was usually more impulsive and intuitive than strategic, it served a purpose. Of course, all these years later, with wars raging endlessly around the world and still achieving nothing except pain and destruction, Wedding Album’s message of peace and love — of peace being rooted in and nurtured by love — sounds wiser and more urgent than ever. John Lennon and Yoko Ono’s Wedding Album has been re-released by Secretly Canadian and Chimera Music.